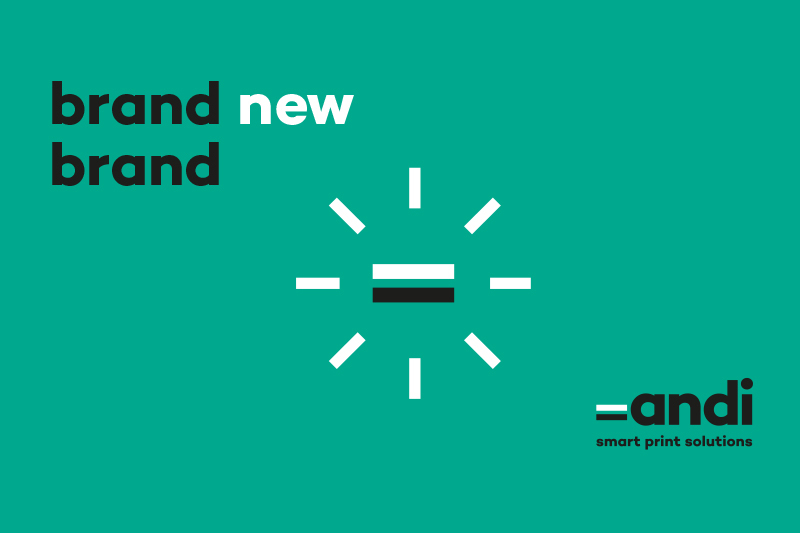 As 1 April, Andi Druk is changing its name. Andi Smart Print Solutions does justice to the services and the regional, national and international position of the graphic services provider. Since the introduction of the digital ink production line, which is unique in Europe, existing relations are being served even better while the international clientele is growing. Managing director Frits Keulen: “It has never been this busy at Andi, but internationally, the name Andi Druk won’t suffice; new fame, new name”. Announcing the arrival of the latest innovative digital inkjet production line at Maastricht-Airport, late 2016, Andi, as a leading printer in Limburg, has suddenly become a unique player in the European market. This unique production line was developed in close cooperation with the global brands Canon and Müller Martini. A similar digital rotation production line, producing all types of print work at unprecedented speed and accuracy, can be found nowhere else in Europe. Early this year the line was taken into use and as such, Andi has made a step forward. “This step includes a new proposition that matches our strategy and international ambition”, says Frits Keulen who, together with Dave Kremer, forms the management of Andi. “It is time to let go of the familiar Andi Druk”. Therefore, as from April, we will continue as Andi Smart Print Solutions, a name that matches our services and smart solutions in the field of printing work that we provide our customers with on a daily basis. Due to this development, Limburg now has a unique multidisciplinary graphical organisation with a significantly strong position in the market. In the Limburg region, and now also beyond, Andi Smart Print Solutions is the most comprehensive and advanced printing business, growing to almost 50 employees over the last few months. Andi Smart Print Solutions is a state of the art printing business (both digitally and offset) that is active locally, nationally and internationally. With almost 50 employees we achieve added value every day by offering our customers integrated and sustainable total solutions in the field of printing work. Andi Smart Print Solutions is a partner for any company that wants to stand out in the market, using offline media, as part of a cross-media strategy.